Username already registered with SuperCoder. Please click here to log in. Email already registered with SuperCoder. Please click here to log in. 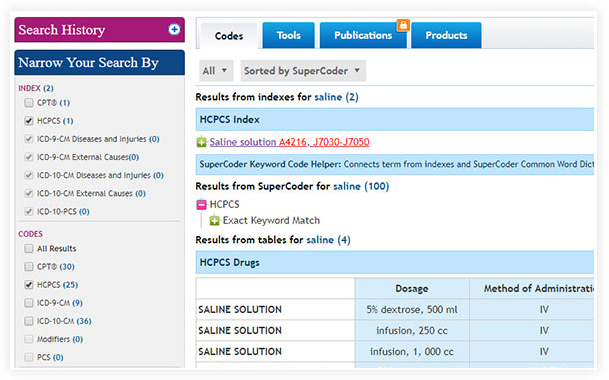 Search 2019 HCPCS codes using the online package with the right combination of resources for you. HCPCS level II codes apply to everything from drugs and supplies to performance measures, and don’t forget about Medicare HCPCS codes for procedures, too. This wide variety leaves a lot of room for error on your claims. Get the tools you need to report these codes correctly by choosing one of our affordable coding packages. 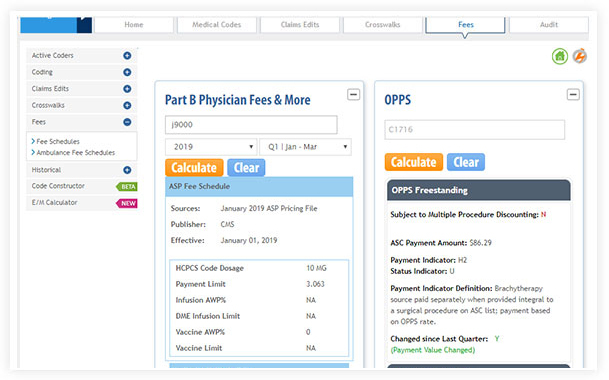 Choose from 20+ Physician Coder specialties or opt for Multispecialty Coder for insights into selecting the correct codes from the current HCPCS code list. 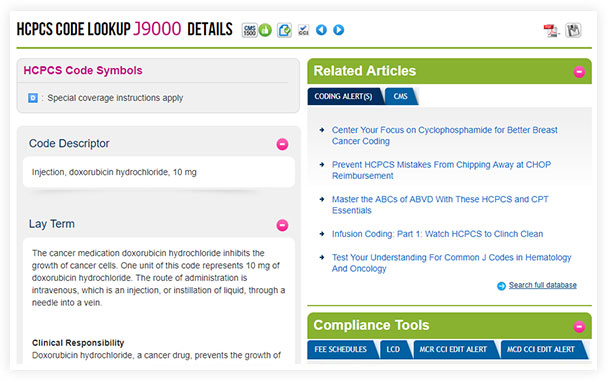 Supercharge your HCPCS coding accuracy with code search integrated with a smart collection of compliance tools. Streamline with the package that makes it easy to search code sets, view descriptors, and get TCI lay terms, too. 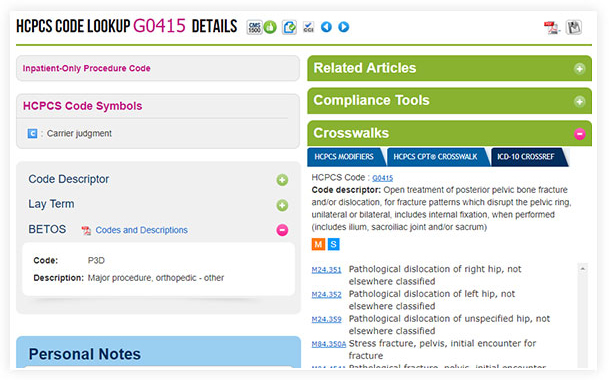 Have the HCPCS code lookup, tools, and advice you need for accurate ASC and hospital-based outpatient facility coding. 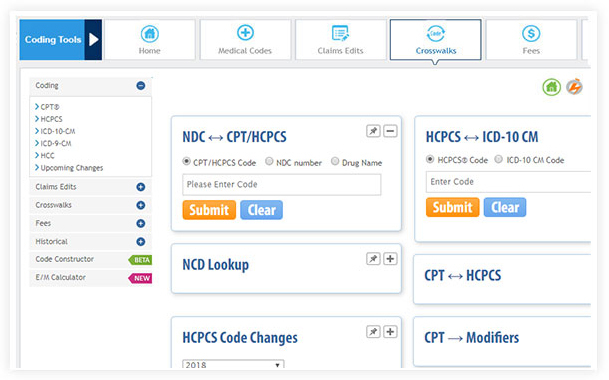 Find essential HCPCS code information in the same place as your inpatient coding tools for added efficiency. Choose from DRG Coder and MS-DRG Grouper Plus.